I spent a few hours yesterday adding a ton of new plugins to my blog… testing them out, hating some, keeping others. It’s been a long time since I tinkered with wordpress. I forgot how time consuming & stressful it can be. I’m doing week 26’s color a bit early because I am going to have a busy (exhausting, no-fun kind of busy) couple of weeks coming up I think. DO NOT WANT TO FALL BEHIND AGAIN. Somehow purple snuck its way into this weeks look as well! This weeks color, however, is tangerine..
Periwinkle is like a marriage of my two favorite spring time colors.. lilac and sky blue! 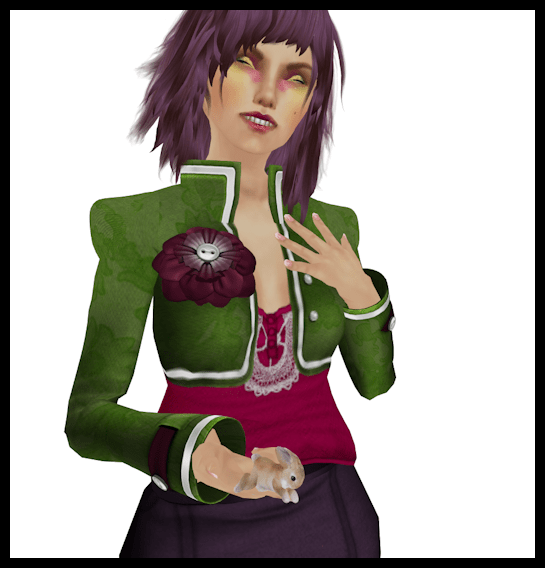 Spring colors are my favorite & totally what I am obsessed with buying in SL at the moment… all the light baby colors. LOVE THEM! I put together a pretty quick outfit for this week because I didn’t want to get behind on my posts again. I really wanna prove to myself that I can do all of these! Wow.. In a few more weeks we will be half way there! This weeks color is Asparagus. So here is me wearing some green shiz. Lucky board item!! 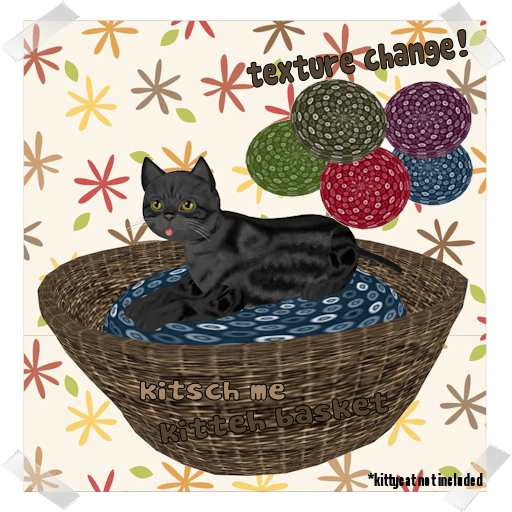 I know there are a ton of pet beds out there that look similar… so I decided to make this one a LB item for our little shopping area. Check it out below! The pet bed is only 2 prims. Five textures… change on touch. Visit the lucky boards in world: Get lucky! I think I might be semi-caught up after this post! I don’t usually use props but thought that I needed some more yellow/white action and this furniture from Art Dummy was perfect. See below! hair: truth – babydoll *new* for project fur! NEW!! From kitsch me — kitteh stumps! Meet Tofurkey & Conchita.. they are resting on my newest creation. KITTEH STUMPS! For KittyCats that love being outdoors. 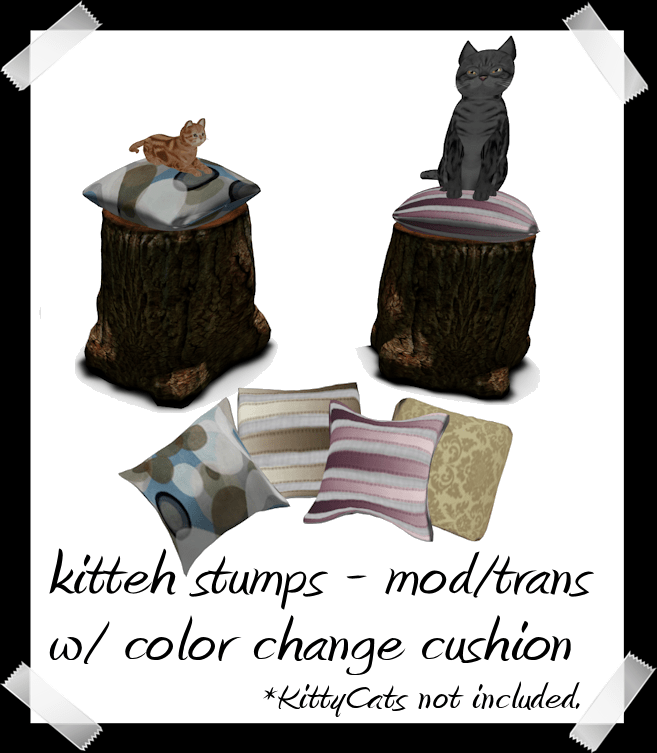 The stumps are mod/trans so they can grow with your kitteh & so you can gift them if you like! The cushion texture changes on touch. 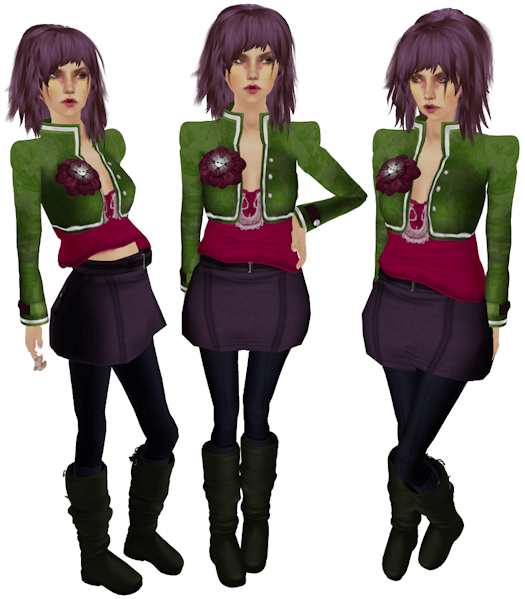 They are only $50L each… you can see a rezzed example & purchase at kitsch me!